The Areal is about 900m² and the living area approx. 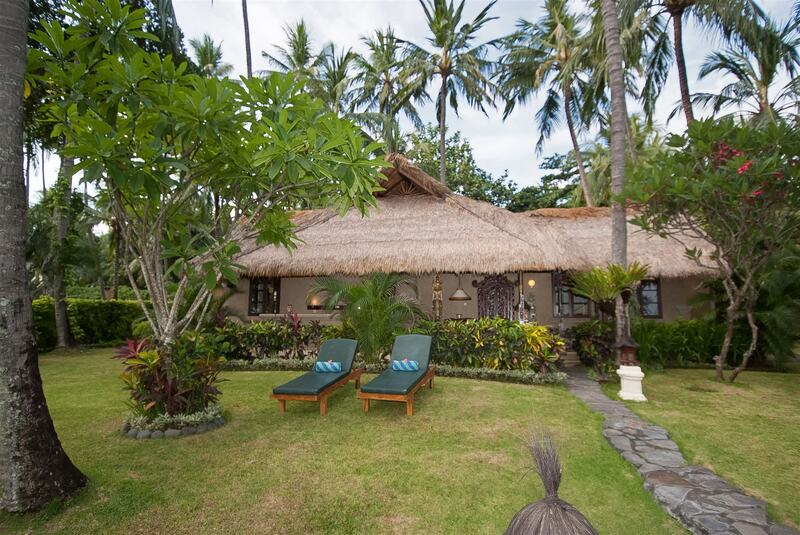 65m² with two bedrooms for four persons. 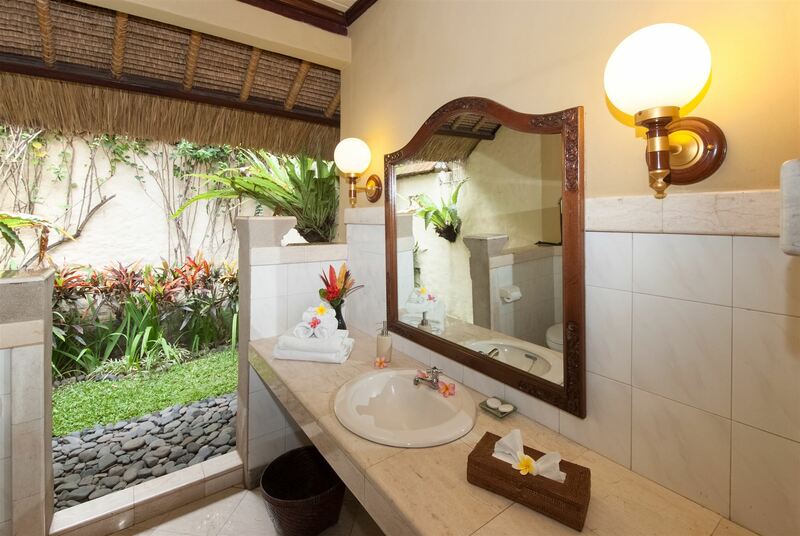 Two open shower rooms with warm water, outdoor living room with sea view, garden lounges and mini bar. 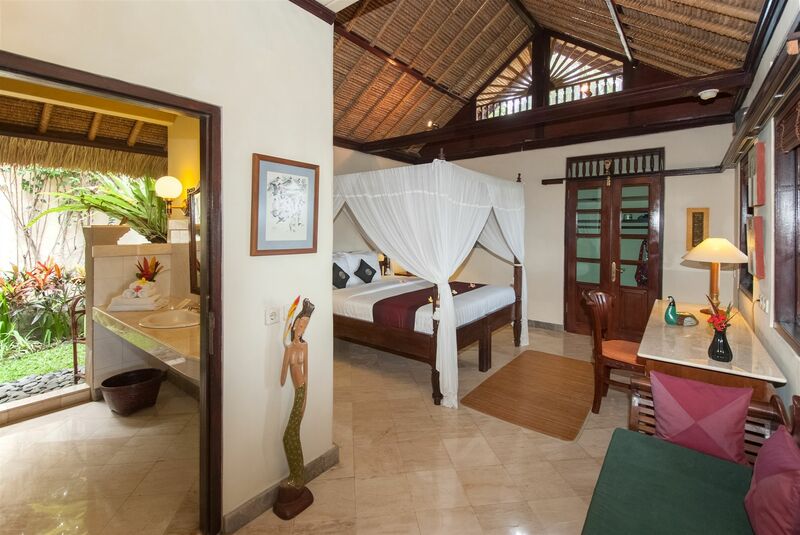 Of course, the villa is equipped with air conditioning. 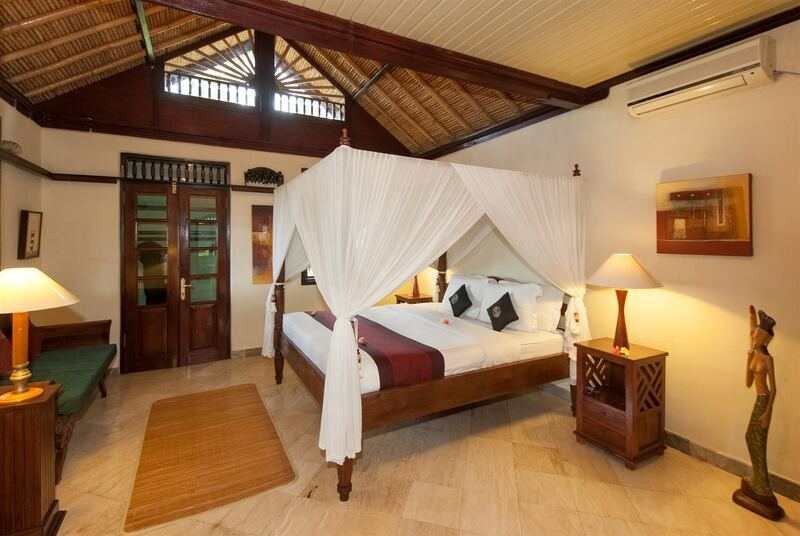 The whole house is furnished with teakwood furniture: cupboards, sideboards, armchairs and beds with mosquito nets. 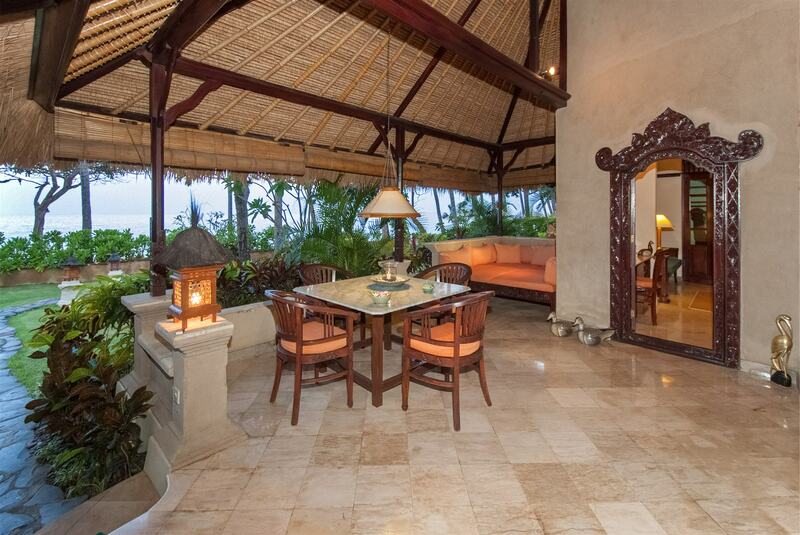 The walls are decorated with Balinese paintings and carvings. A small hallway with a cupboard, a small pantry with sink and a fridge, connects or divides the two bed rooms. There are four deckchairs in the garden and, as you would expect in paradise, also one hammock. The living/dining room is positioned on the side of the building towards the sea. It is open on three sides and contains a dining table and a 2m x 2m cushioned “cuddle” area.